Rapper and producer from Nigeria who is notable for his skill in Igbo rap, which incorporates traditional Igbo music and African-American music. He became the CEO of the record label Penthauze Muzik. Born Azubuike Chibuzo Nelson, he developed an interest in music in high school when he learned to play the drums and piano. He began rapping professionally in 2010. 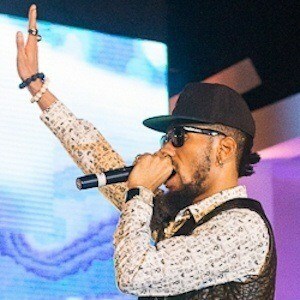 Phyno began recording his first studio album, No Guts No Glory, in 2012, but it was not released until March 2014. He was born in Enugu State, Nigeria, and attended the Institute of Management and Technology for college, studying public administration. He moved to Lagos, Nigeria in 2010 to pursue a rap career. As a producer, he has collaborated with fellow rapper Timaya.